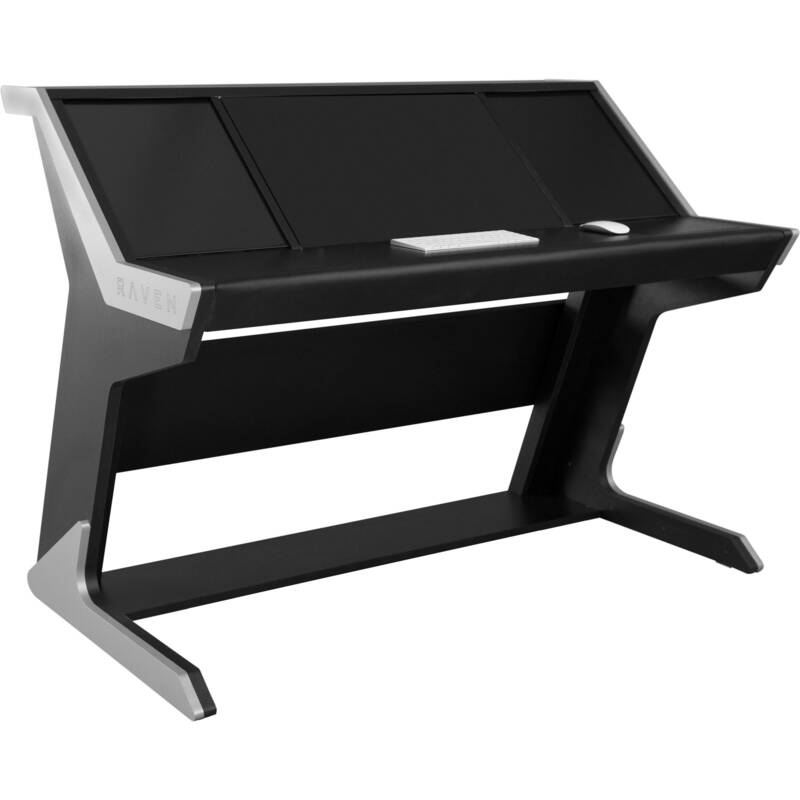 Designed to complement RAVEN MTI2 control surfaces, the Slate Digital CORE STATION provides stylish, ergonomic, and modular housing of the aforementioned RAVEN MTI2 control surfaces. It displays these touch-screens in a way that makes day-to-day audio tasks easier and more expeditious for professional audio engineers. The CORE STATION accommodates both one and two RAVENS, so you have the option to double up on Slate Digital's technology for more screen real-estate and fader manipulation if need be. You'll also note the cutout on the right-hand side which is sized for the Slate Control Analog Monitor Controller, available separately. A blank panel is included to slot into the cutout should you wish to forego the controller. Styled in a black satin finish with silver side panels, the CORE STATION ships with included hardware and instructions for assembly. The CORE STATION is constructed (by you) from particle board, MDF, dibond, and metal hardware. Please note that neither the RAVEN MTI nor the Slate Control are included with the CORE STATION. Box Dimensions (LxWxH) 57.15 x 35.75 x 18.5"